"Working hard overcomes a whole lot of other obstacles. You can have unbelievable intelligence, you can have connections, you can have opportunities fall out of the sky. But in the end, hard work is the true, enduring characteristic of successful people." Florals are pretty expected every Spring so I like to switch it up a bit. 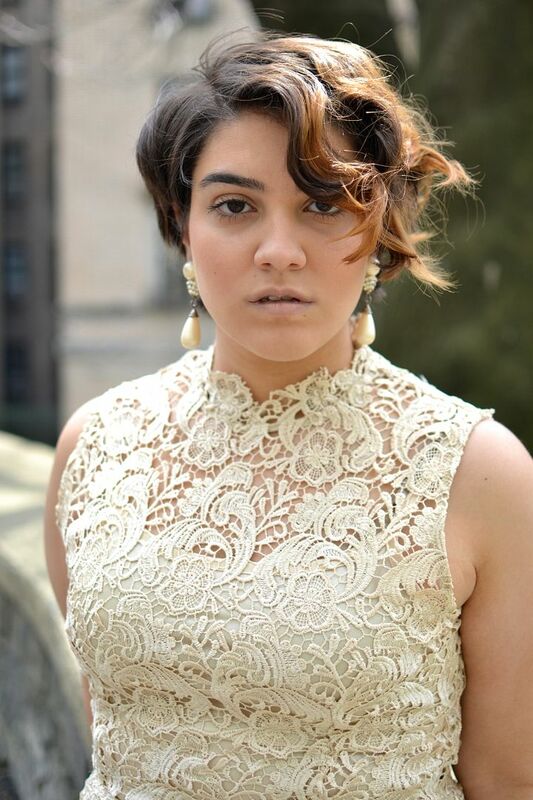 This lace dress from Spiegel is ideal for Spring. This dress is cut short but is not too revealing and it has a silk-like lining underneath. What I love most is how thick the lace is. Spiegel really is couture quality at everyday prices. They have a ton of Spring pieces and I'm lucky enough to get a 10% discount code for all my followers. To receive the 10% discount, use 'Spiegel13' while checking out! 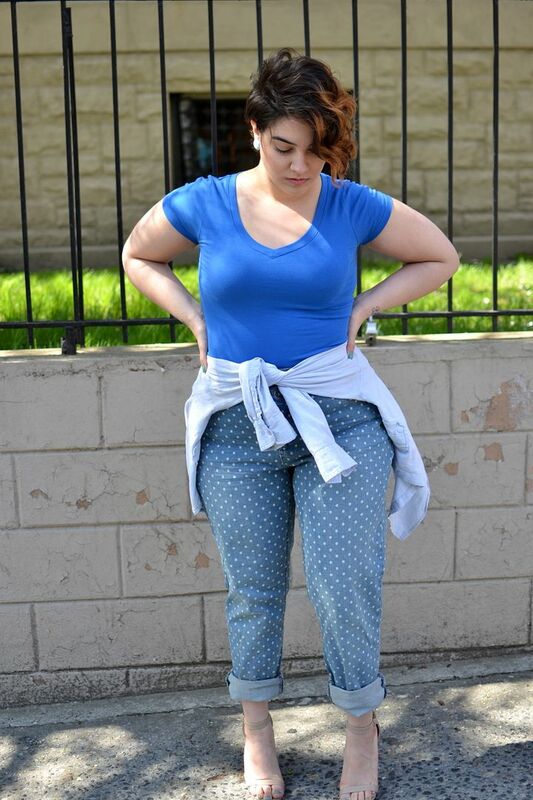 I'm a fan of printed jeans, especially polka dot denim. I chose to get these Addition Elle printed jeans two sizes larger than my actual size to wear them as boyfriend jeans. I wear them slightly slouchy and roll the bottom up to show off my heels. I've been feeling blue lately, you guys can probably tell from all my recent posts. I teamed up with London Times for their 7 days of Spring campaign. 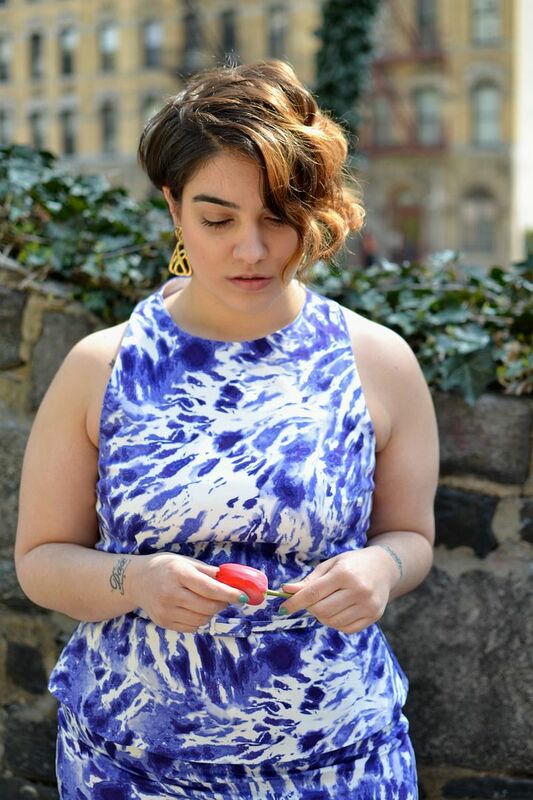 I chose this white and blue tie dye peplum dress from them for a ton of reasons. Peplum is one of my favorite trends and has been for quite some time. 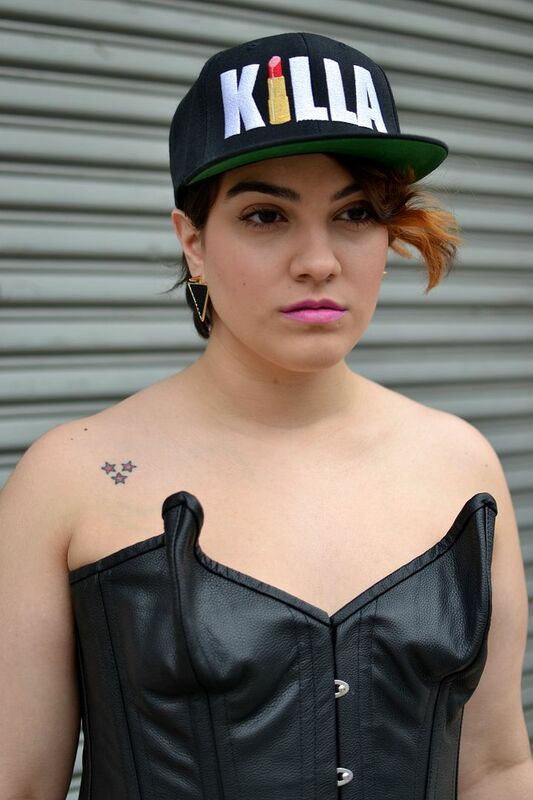 It's super flattering for mostly all body types and really accentuates your curves. I love how bold the tie dye is and what a statement it makes. The blue is extremely vivid and the white really keeps it having a Spring time look. The dress even comes with a thin belt to bring in your waist more. 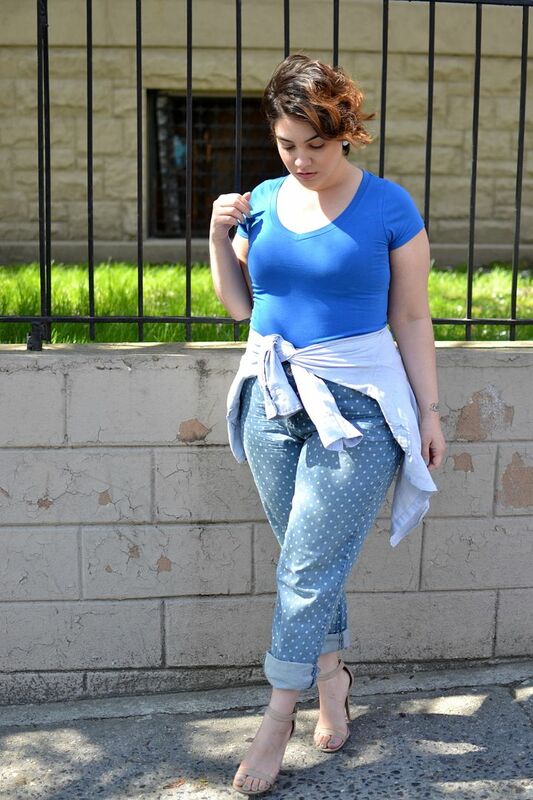 Check me and other bloggers out at their 7 days of Spring page! Is it bad that I wear outfits based around my nail polish color? Either way, I still do it. The weather in NYC has been fluctuating like crazy. One day it's warm, the next day I'm back to wearing layers. 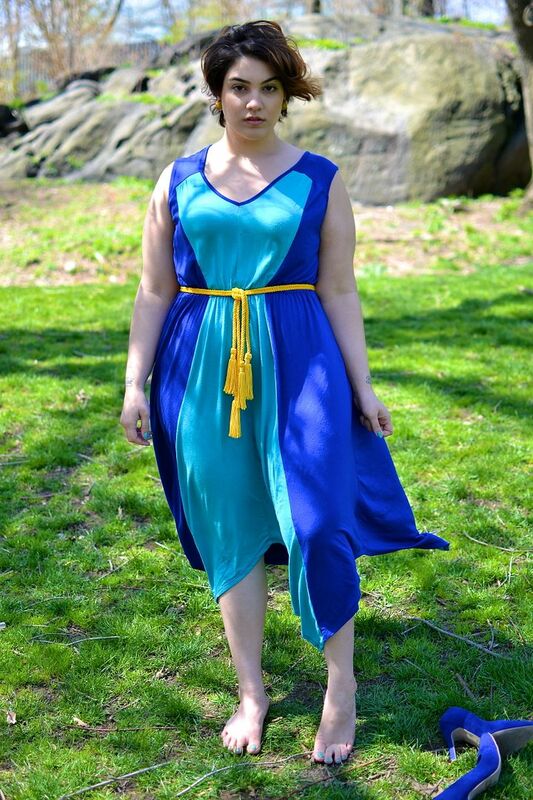 Fortunately for me, I was able to finally bust out some of my comfy maxi dresses for a day or two. Since I have such limited place in my apartment I had to get huge bins to put my clothes in and store away seasonly. I unpacked all of my Spring/Summer clothes and packed away most of my winter attire. 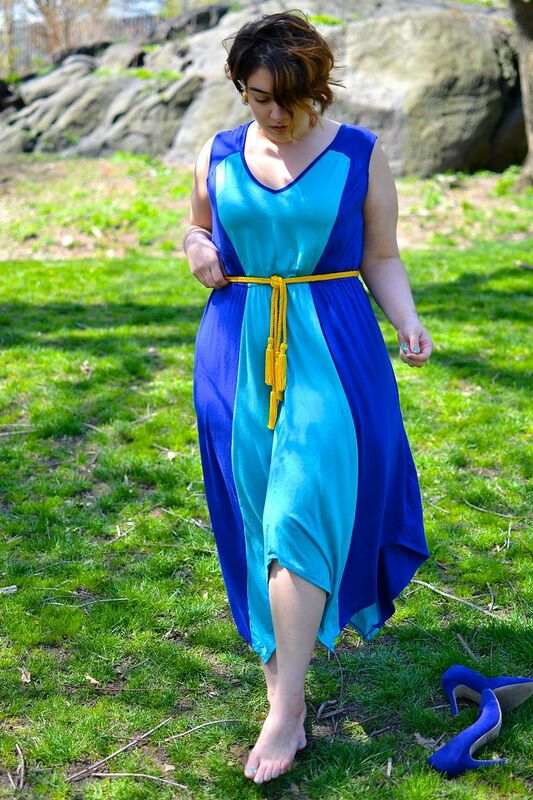 This teal and blue maxi is from Addition Elle. I made a belt with two yellow tassel ropes around tied them around my waist to flatter my body more. Really love these two colors together and it's spot on with my nail color. The yellow really pops against the blue and teal. 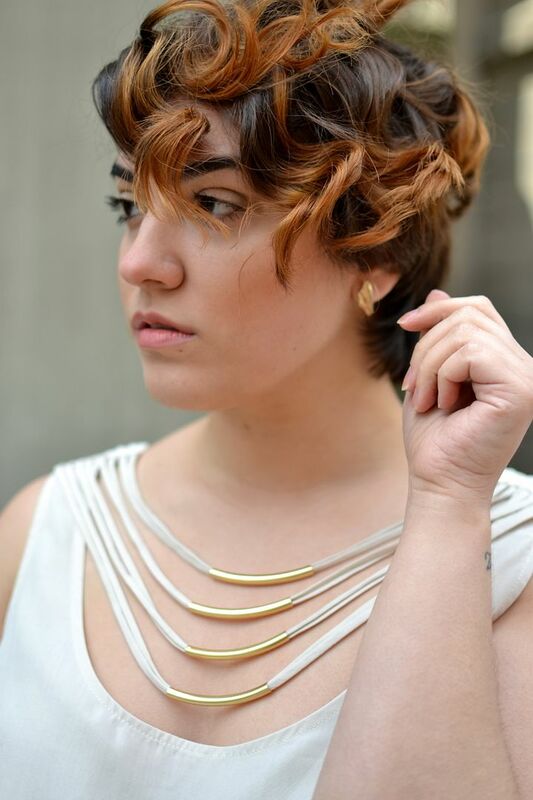 I was so happy that StyleLikeU contacted me to do an interview for them. 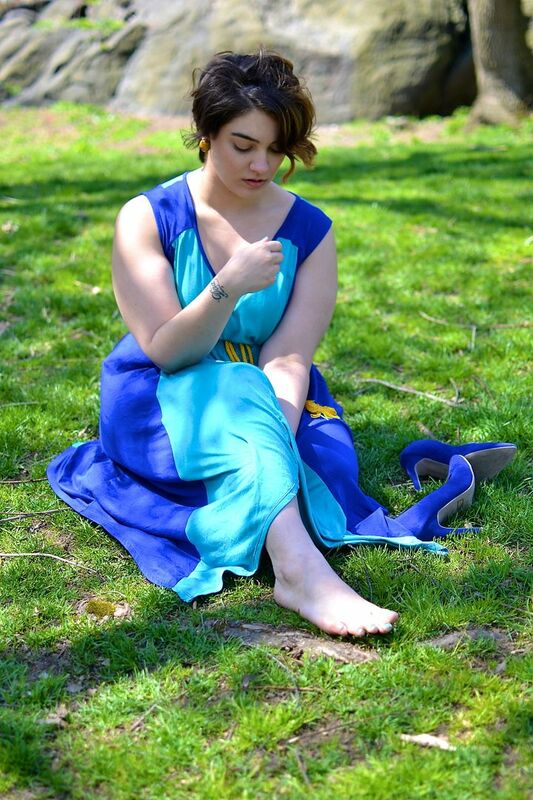 They have made April into body acceptance month and was thrilled to be a part of it. The video includes myself and 3 other inspirational ladies, their experiences throughout their life and how they've dealt with self acceptance. 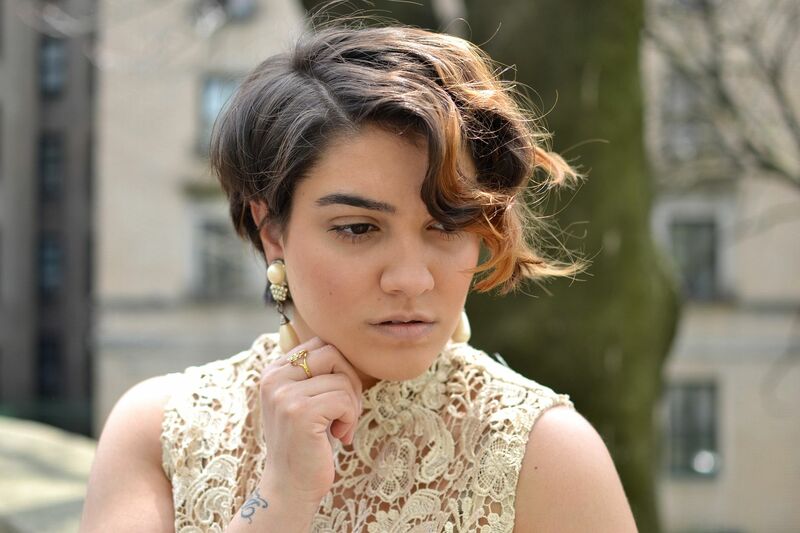 StyleLikeU also featured me in an individual post you guys can read here, Nadia Aboulhosn - StyleLikeU. I don't think I realized how fast I speak and how animated I am with my hands until this interview haha. I've never really been open to interviews because I like to keep to myself about a lot of issues and how I feel toward certain topics but believe StyleLikeU's message was important to get across. At one point, although not shown in the video, I was asked what was my biggest sacrifice dropping everything and coming to New York. I didn't hesitate to say my parents and instantly started crying. They are hands down the greatest interviewers haha. These women have created such a terrific site just for the talented and inspirational, so a big thank you to StyleLikeU! It's finally heating up here in NY. I definitely want to make a trip to Florida soon. I have a couple photo shoots coming up this month and also my video with StyleLikeU comes out toward the end of April. Can't wait to show everyone! So you guys know I've been flying back and forth to Canada working with Addition Elle and have a thing for all their campaigns and all the original ideas their team comes up with. They have officially teamed up with Jeanne Beker and are launching a plus size fashion line called Edit. Edit by Jeanne Beker is such a creative concept. Considering she has traveled the world hosting fashion tv, she is the ideal person to choose top trends and narrow them down into select pieces for a plus size brand. What I love most is that not everyone has the time, energy, or creative eye to pair an outfit together. The Edit makes it easy to pair pieces together. It's officially launching tomorrow and decided to put my favorite pieces up for show. 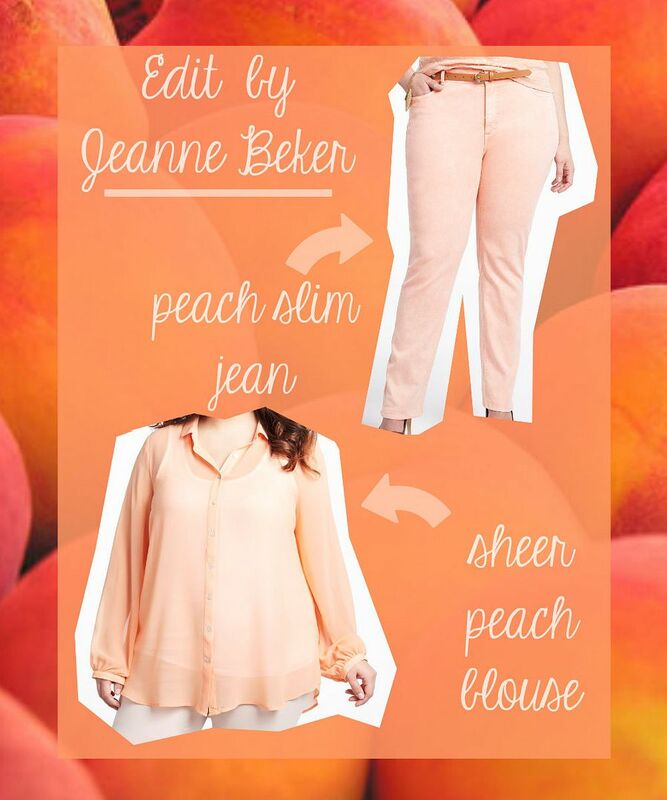 Peach is such a perfect color this season so this sheer peach blouse and peach jeans are my top picks. Check out the rest of Edit by Jeanne Beker at Addition Elle! I wanted to dedicate a post to Spring trends since it's starting to warm up here in NYC. 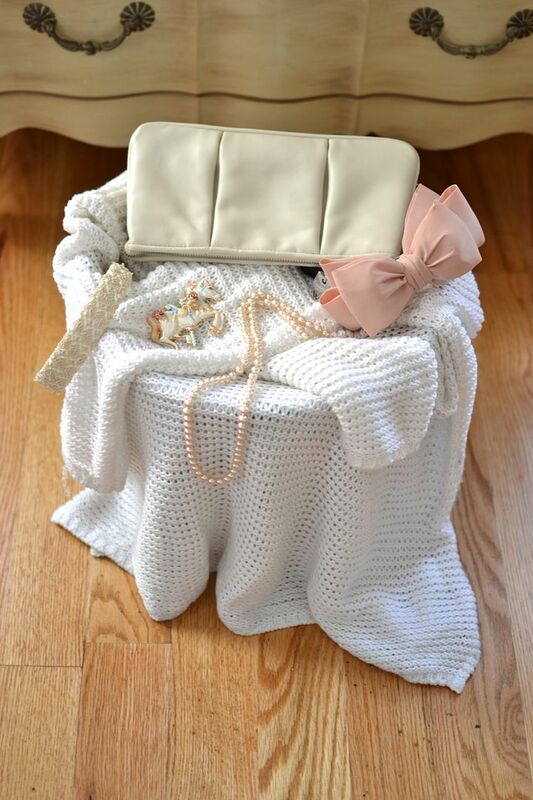 I really love the combinations of pink, white, and creams which are on trend for Spring. The white open knit sweater is from Addition Elle. 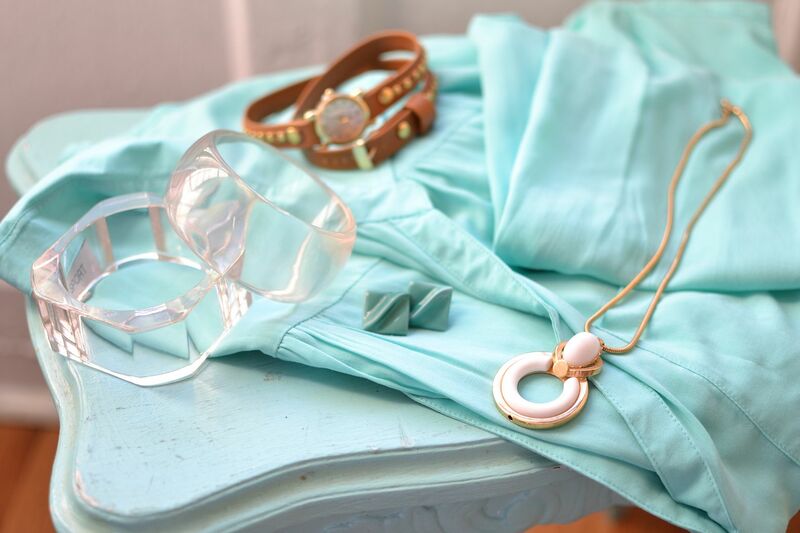 They have key pieces for Spring that you can style more than one way. 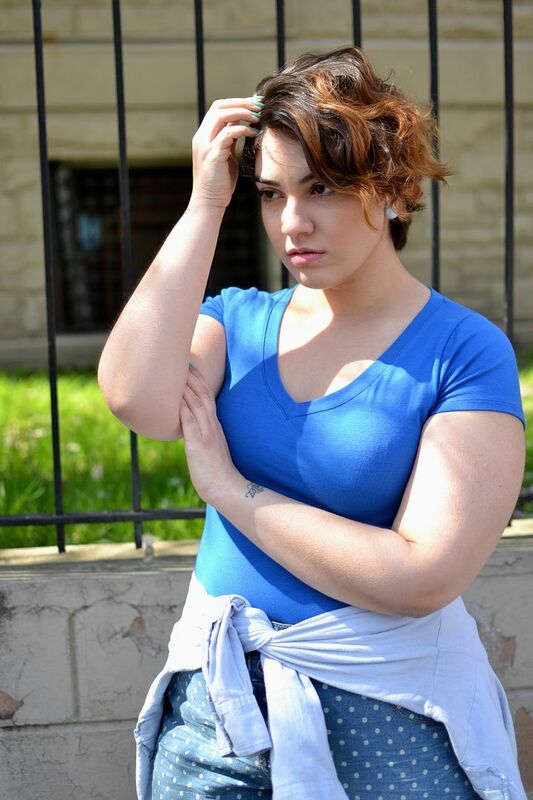 I was inspired by how they styled their model Ashley Graham's hair with a thin headband. When I had long hair, I found it more difficult to pull them off but now that my hair is short, I curl it and just throw a cute one on. 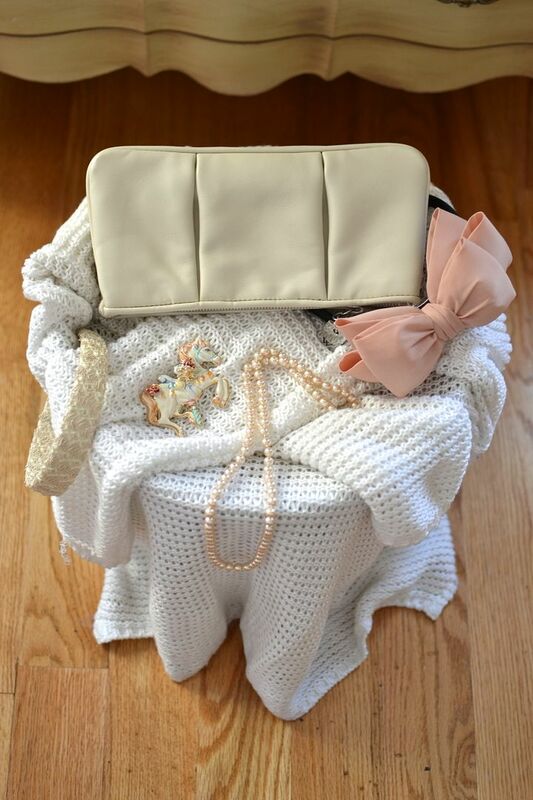 I found this cream lace headband and pastel pink bow at a thrift store in Jersey City. I'm also into mint green and think it's a trend that isn't going away for a while. 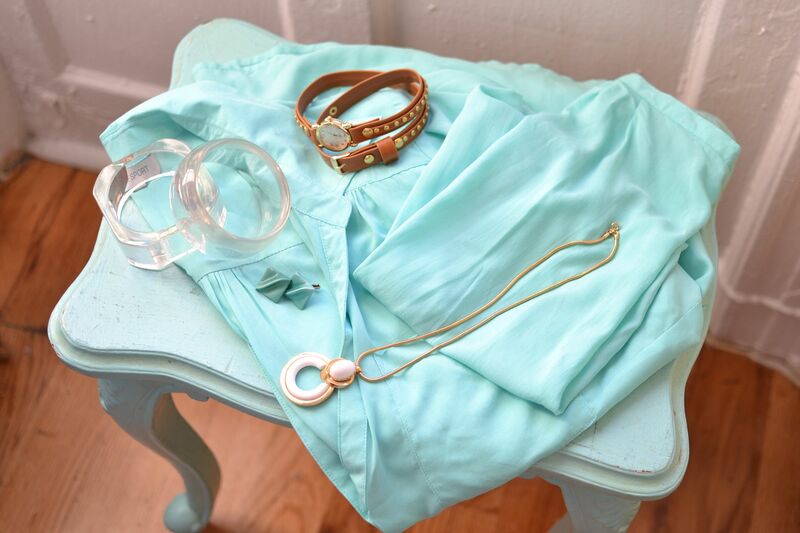 The Challis Hennley blouse from Addition Elle comes in more Spring colors like white and peach. The thin material is light weight for when the weather gets warmer. My best friend Shevah bought me this gold and white necklace in Florida. 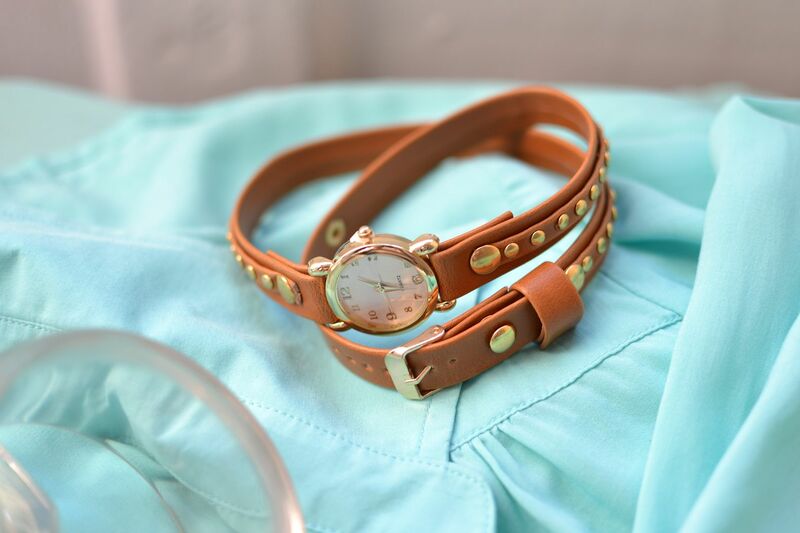 While I was in Canada, I did a little shopping at AE and grabbed this light brown watch that wraps three times around your wrist. It's a watch and bracelet in one!